Varadero was set. Our flight was leaving from Varadero airport and it is handy to be close to the airport one night before. Finally, we settle this on 2 nights, to experience to All inclusive concept. We choose hotel Brisas del Caribe. We rented car trough a Dutch travel agent. The have a concept from where you rent a car, at least 3 nights should be in a hotel. They offered us hotel Brisas del Caribe, which was cheaper from what we have seen so far. With 66 Euros per night for the 2 of us, All included, this wouldn’t be a bad deal. The hotel was fine for the money. Great swimming pool, the food not so good, as we expected. The beach of Varadero was great! The beach is huge. During the day it is necessary to wear footwear, as the sand is getting hot. The sand is white with palm trees on the edges. The sea has all different colors of ocean blue. The water is warm and you don’t have to walk far to be deep in the water. Every hotel has their own part with umbrellas and sun chairs, where you can sit and relax. Some play loud music, our hotel had some music on the background. There are no snorkeling opportunity here, as there is not coral to live for the fish. The bottom is only white sand. Overall we had a good experience here. The beach is nice, the hotel was how we expected. 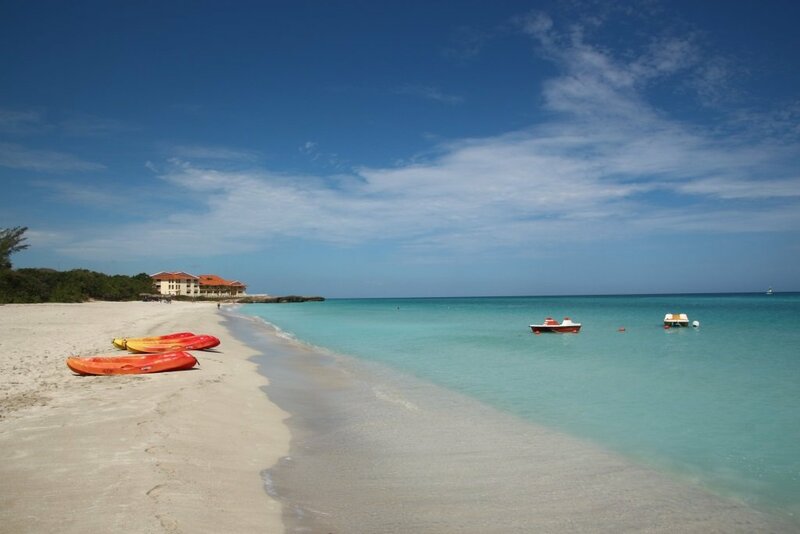 We can see why people go to Varadero. To experience an all inclusive resort is something you have to do once in a lifetime. We stayed in Brisas del Caribe hotel. Hotel Brisas del Caribe would get an 6 from the scale 1 to 10. This could be a 7, when the food was a little better. Overall the hotel looked nice. The swimming pool was great! With a lot of sun chairs to relax, a bar to get your drink it was a nice place to relax. The beach was great with nice chairs and umbrella’s. The room was OK, a little old, but it was clean and spacious. We had a nice balcony with a view over the garden. The hallway was really dirty! Loads of sand, water and dust. They didn’t clean it once, when we were there. The food here was poor to be honestly. There was a lot to choose from! But the taste of all the food was the same. Not many spices or herbs used and it wasn’t warm enough. The salad bar and fresh grilled corner was nice tough, so just pick something from this and you’ll be good. We tried an a-la-carte restaurant. Just one out of 4 restaurants was opened and we had a hard time to make a reservation. The food was a little better tough, so for a change this would be fine.